An amazing, ongoing, outpouring of love is taking place in Israeli hospitals all over the country. While Israeli soldiers recuperate and heal from wounds that they received during the fighting in Gaza as part of Operation Protective Edge, thousands of packages and hundreds of well wishers arrive daily at hospitals across Israel to show their support and appreciation for the soldiers. Aimed at raising the spirits of those injured in battle, well wishers have been flooding hospitals with various forms of appreciation ever since the first injured soldier arrived. LIBI USA, part of the official fund of the IDF, was there in the thick of things this week, handing out letters written by supporters of the IDF from all over the world, from the US to Zimbabwe. The letters were written in response to a recent letter-writing campaign asking friends and supporters of LIBI to share their feelings and support for soldiers who were injured in the fighting. 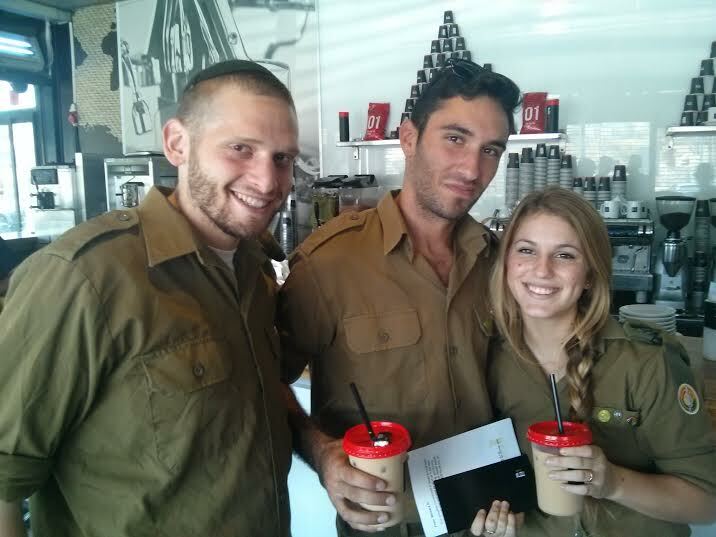 Each letter was accompanied by a gift-card to an upscale Israeli restaurant chain. As each letter was handed out, it was hard to miss the smiles that grew on the faces of each and every soldier receiving them. “We cannot thank you enough,” said the mother of a soldier who was recuperating from a head injury. “It means so much to us to receive letters like this, from the bottom of our hearts thank you,” she said. The injured soldier also has a younger sister who will soon be enlisting in the army as well. Israel365 Director and LIBI USA emissary Rabbi Tuly Weisz thought it prudent to give her a letter and gift card as well in order to demonstrate that people the world over support her and will continue to support her on her journey while protecting Israel. Ayal K., who helped distribute the letters and is a former IDF soldier, reflected on the importance of showing support for the soldiers in an active way. “It’s one thing to read in the newspaper stories about how soldiers sustained their injuries. It’s another thing entirely to see the injuries with your own eyes and to hear the stories firsthand. It’s one thing to hear about all the love and support, it’s another thing entirely to take an active role in it,” he told Breaking Israel News. “While the soldiers were used to gifts and food from anonymous sources, I think that the 129 letters of support that LIBI gathered from around the world (even Tanzania!) genuinely touched the soldiers and their families who were there to receive them,” he said. One particular volunteer who has been visiting soldiers at the hospitals every day is Simone Farbstein from the Tikvot organization. She explained to Breaking Israel News that the injured soldiers face a long road ahead. “This journey of recovery for the soldiers is just beginning. Their old life, of combat, of regular everyday life without the memories of the trauma of war, is over. Now this one begins. And after their time in the hospital, after all the gifts and packages and visitors and reporters cease, then the true work begins,” she said. Tikvot is a volunteer-based organization which rehabilitates Israel’s victims of terror and wounded soldiers through sports and, like LIBI, has a long term outlook on helping the soldiers maintain hope of a regular life. “Everyday groups come, everyday hundreds of packages arrive. It is really special to behold, and it makes my job so much easier. The soldiers are often depressed or angry when they come, and while some of that will stay with them, the letters and gifts certainly help. They let the soldiers know that they are not alone on this journey,” Mor explained. The staff at the hospital as well as the soldiers posted there had a setback on Tuesday night when, after almost a week of calm, Hamas began firing rockets on Israel, breaking their 11th ceasefire with Israel. Among the rockets fired were several aimed at Tel Aviv, which caused the Red Alert air raid sirens to go off. The change in the morale of the soldiers was palpable according to many of the military and medical staff who work there. Another round of sirens went off on Wednesday afternoon as once again Hamas targeted Tel Aviv and other Israeli cities. However, one thing that managed to help raise the spirits of the soldiers was the letters and gift cards they received from supporters abroad. Reading the letters from people all over the world who support them helped rejuvenate the spirits of the soldiers greatly. “There were family and friends moving from room to room and the hospital felt more like a house. As we walked into each room, they were filled with pictures, gifts, food and the smile that lit up the soldiers face when they realized they had a visitor is indescribable. 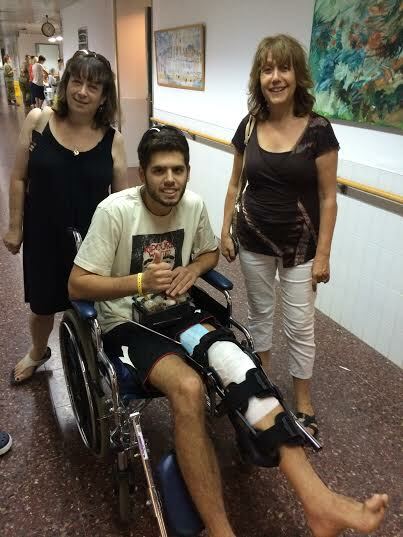 You could tell every visitor meant so much to them,” he told Breaking Israel News. 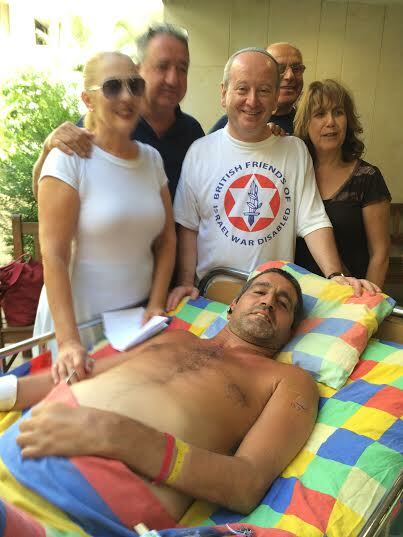 While the soldiers recuperate and gather their strength for the long road ahead, a member of the IDF Spokespersons Unit explained to Breaking Israel News why it is sometimes hard for the injured soldiers to share their experiences fighting for the survival of the Jewish state. One did not need to fabricate a story, however, to see the gleam on the eyes of the soldiers who are on the receiving end of the outpouring of goodwill from all over the world. Nor did one have to resort to imaginative reporting to see the effect that a letter from an unknown supporter in New Jersey had on a soldier from Nahariya who lost his leg, and the smile that spread over his face as he read the letter. One only had to watch and see the slow spread of the smile on his face to understand that underneath everything, we are all human. We all want to feel loved. We all want to feel supported. Thanks to supporters of LIBI USA who wrote the letters, these soldiers can begin their long journey of recuperation and healing with the knowledge that they too can count themselves among the lucky who are loved and supported by people all over the world. 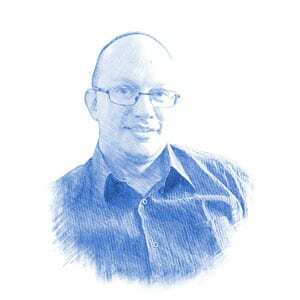 Raphael Poch is a senior features writer for Breaking Israel News and previously worked as a breaking news reporter for Makor Rishon/Ma’ariv and a news desk writer at the Jerusalem Times. Raphael is also a playwright, the Artistic Director of J-Town Playhouse and an active member of the arts community in Jerusalem where he lives with his family.